San Francisco is a city that is on the bucket list of many travelers. It captivates and entices people from all ages and backgrounds because of its quirky nature, open-mindedness, and booming tech industry. 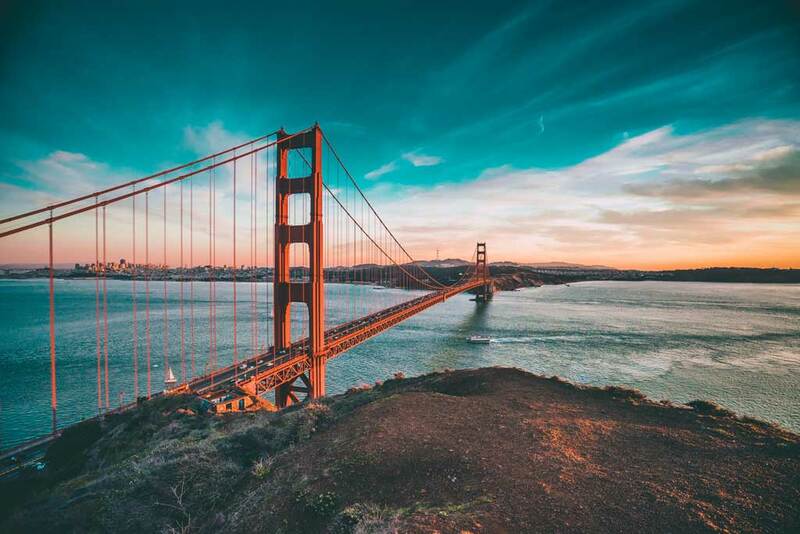 The beauty of the surrounding bay, the copper-hued Golden Gate Bridge, and the exciting foodie and art scene only add to the allure, as well as the countless opportunities to enjoy the outdoors without having to leave the zip code. 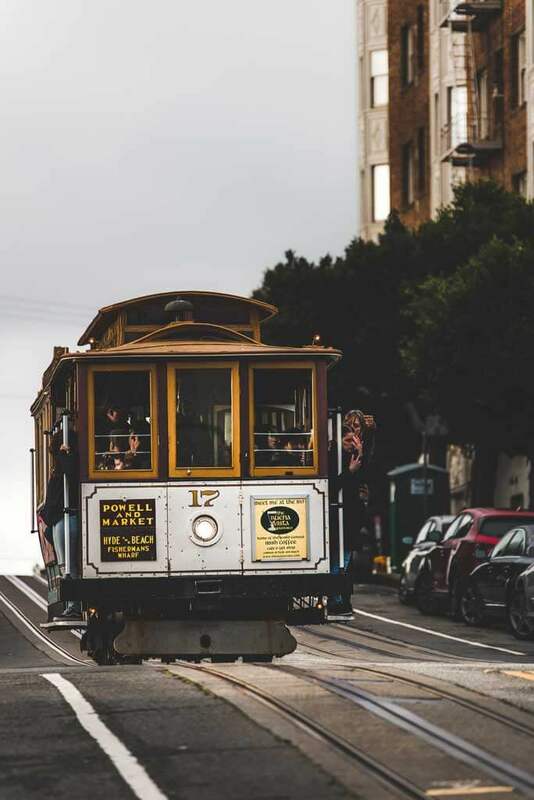 Although you could spend years in San Francisco and never see all there is to see in the city, a few days is enough time to give yourself a good introduction to why it is such a lovable place that has a way of bringing people back to its shores. This is the ideal itinerary for first-time visitors to enjoy a full 3 days in San Francisco, from the touristy to more local experiences. There’s no better way to start your 3 days in San Francisco than by enjoying the sights and smells of Fisherman’s Wharf. This is basically the place that people imagine when they first think of visiting San Francisco, and that is reflected in how touristy it is. Regardless of the crowds, there is a lot to keep you busy for an afternoon in this neighborhood. Start your day in the early afternoon with the famous clam chowder in a sourdough bread bowl from Boudin Bakery at Pier 39. These guys are San Francisco’s oldest continuously operated business and their sourdough bread bowls are the original (and to die for). Once you’re full of clam chowder, walk around the corner to watch the lazy seals bathing out on Pier 39, and pop into The Candy Baron for an old school candy bar or fresh salt water taffy. Finish off your time in the area by walking further along the wharf and admiring the talented (and usually hilarious) street entertainers, and visiting some of the unique shops on the piers. Leave the wharf behind and hop on a boat to Alcatraz to explore this famous prison island only a short boat trip away from the mainland. Because of how popular it has become, it’s recommended that you buy your tickets online ahead of time. Tickets include the ferry transportation from Fisherman’s Wharf as well as access to the prison and island grounds. You can book an Alcatraz tour here. As soon as you arrive, you’ll get lost in the eerie nature of the island and the history of its prisoners, as well as its earlier history as the site of the first lighthouse and US fort on the West Coast. Part of the Golden Gate National Recreation Area, you should plan to spend at least a few hours on Alcatraz. The main attraction is the prison, but the grounds surrounding the penitentiary and the island itself are peaceful to walk around and they provide an impressive view of the cityscape. The Alcatraz Cellhouse Audio Tour is excellent and will allow you to take a step back in time to the perspectives of the prisoners and guards that used to live in the prison. Once you’re back on the mainland, it’s time to find another view of the city from a different famous landmark – Coit Tower. If you have time on your way to the tower, make a stop at Lombard Street in Russian Hill to watch the cars drive down the eight hairpin turns of “the crookedest street in the world”. It’s a unique photo op that only reasserts the fact that San Francisco is a weird city, and proud of that fact. 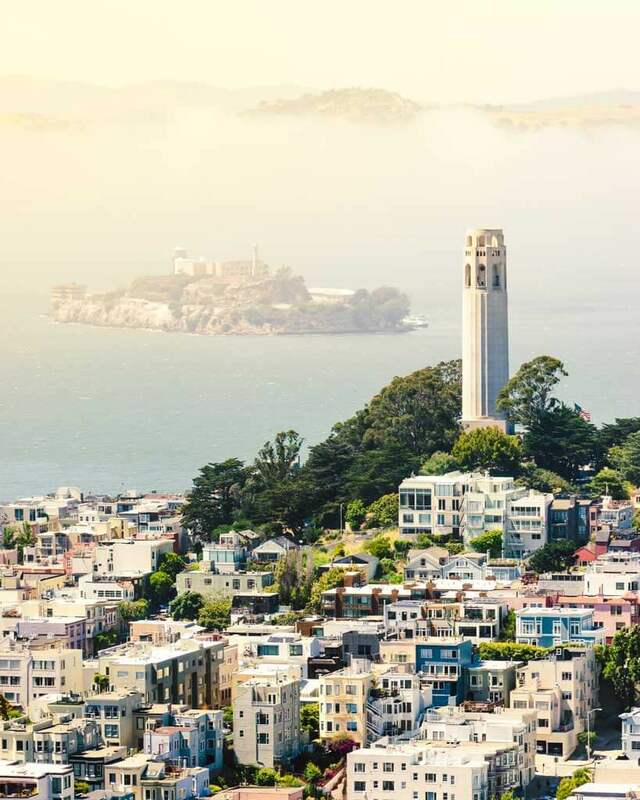 Once you arrive at Telegraph Hill, get your calf muscles ready because Coit Tower lies at the top of a very big hill. Its lofty height means that it gives one of the most beautiful views over the city from its perch. The art deco tower was built in 1933 in an effort to beautify San Francisco and is on the National Register of Historic Places. In addition to looking out over the city from the observation deck, take time to look inside at the colorful fresco murals, painted by 27 different artists, depicting life in California during the Depression and the importance of racial equality (a radical idea at the time). This is also a great spot to watch the sunset if you time it right. Before you leave Telegraph Hill, look out for its most famous residents – a flock of parrots featured in the 2005 film “The Wild Parrots of Telegraph Hill.” You’ll probably hear them before you see them. The end of your first out of 3 days in San Francisco itinerary may be coming to an end, but the night is still young. Whether you’re looking for a raucous or more chill night out, the North Beach/Telegraph Hill area has a little something for everyone. North Beach is a place that changes drastically once the sun sets. It’s where you’ll find San Francisco’s red light district alongside upscale Italian eateries, and its busy streets bring locals and tourists in droves to enjoy the many good bars and foodie spots in the district. Start off the night at Original Joe’s, an upscale Italian restaurant that has become somewhat of an institution in San Francisco since 1937. Watch the cooks work their magic in the open kitchen, chat with the friendly staff at the bar, and order one of their pasta or seafood dishes, you won’t be disappointed! You’re spoiled for choice when it comes to where to go out in North Beach/Telegraph Hill at night because it’s one of San Francisco’s most eclectic nightlife spots. There are jazz bars, dive bars, pubs, dance clubs, and cabaret shows, as well as plenty of family style restaurants where you can grab a quiet drink at the bar if that’s more your style. A few options could include The Saloon to experience live blues and one of San Francisco’s oldest bars, Vesuvio Cafe or 15 Romolo for cocktails, Comstock Saloon for a retro feel and live jazz, Mr. Bing’s for a classic dive bar, or Hue Lounge for dancing. 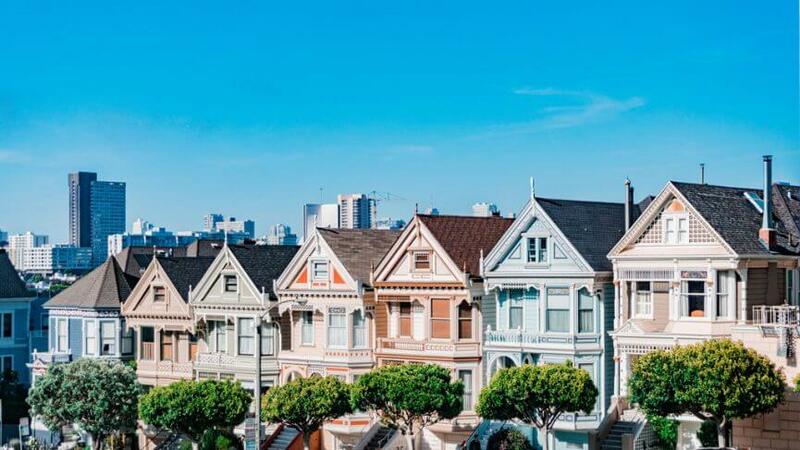 Start off your second of 3 days in San Francisco itinerary in the hippie Haight-Ashbury district that’s known for its weird and colorful characters. The district is filled with vintage shops, tattoo parlors, record stores, and provides prime people watching opportunities. This is where the counterculture movement thrived in the city in the 1960s and 70s, and where the ‘Summer of Love’ took place in 1967. Grab a hearty breakfast at the neighborhood staple diner, Pork Store Cafe, and admire the funky pink decor inside while enjoying a meal alongside locals. You may have to wait awhile for a table if you’re there on a weekend, but it’s worth it to try any of their breakfast specialties. After breakfast, head over to Amoeba Music – the largest independent music store in the world – and take a selfie with The Famous Legs at Piedmont Boutique, an iconic landmark in the district. Pop into a few of the unique vintage shops and record stores, and admire the colorful Victorian homes (the highest concentration in the city) before you leave for your next sightseeing spot of the day. Grab an inexpensive Uber or hop on the bus to get to Union Square, the throbbing heart of the city. It’s always busy and packed with people rushing to their next destination. This is one of the most touristy areas of San Francisco, but it’s worth experiencing, if only for the energetic atmosphere. If you need to get any shopping done, this is the place to do it during your 3 days in San Francisco. You’ll find everything from H&M to high-end designer stores and everything in between. This is also where you can catch a ride from the famous San Francisco Cable Car, which has been around since 1873. It leaves from Powell Street and you can buy tickets onboard with the conductor for $7 one-way. The wait time to hop on one of these iconic cars can sometimes be upwards of an hour, so make sure to bring some patience with you (and maybe a good book). It’s a 10-minute walk from Union Square over to the edge of the SOMA district, where you’ll find the SFMOMA, or the San Francisco Museum of Modern Art. Actually, some of the best museums in the city can be found near Union Square, including the Contemporary Jewish Museum, the California Historical Society, Museum of African Diaspora, as well as the SFMOMA. I encourage you to go to as many as you can fit in, but if you only have time for one museum it should be the SFMOMA. The world-renowned museum showcases some of the best modern and contemporary art in the world. There are currently over 33,000 pieces of art in the museum – including paintings, sculptures, photography, architecture, design, and media arts. They also often have well-done and interesting exhibits on rotation. You could easily spend a whole afternoon here. At the very least, you should devote a couple of hours to perusing the many works of art. Once you’ve had your fill of vintage hippies, shopping, and culture, it’s time to eat at one of the most popular restaurants in the city – Brenda’s French Soul Food. They only do dinners Wednesday through Sunday, so if you’re in the city on a Monday or Tuesday you’re out of luck (although you can still go for breakfast or lunch). Just as a side note, they’re actually more well known for their breakfast and brunch, but their dinner is just as good and less of a long wait for a table. If you manage to grab a seat for dinner, you’ll be delighted with po’ boys and other New Orleans specialties – including fried chicken, shrimp and grits, and a flight of beignets for dessert. After dinner, head over to either Bourbon & Branch or Tradition for a drink in a dark 1920s prohibition bar. Bourbon & Branch is fancier and you’ll usually need reservations to even get through the door (you have to give a password to the bouncer). Tradition is more casual but provides a similar vibe with friendly bartenders and delicious cocktails. Both bars, as well as Brenda’s, are in the Tenderloin, which isn’t the best neighborhood to walk around in San Francisco, especially at night. Just be aware of your surroundings and take an Uber if you feel uncomfortable. There are so many good places to eat and drink in the Tenderloin, so you would be amiss to pass it up just because of the location. Similar to New York, you can’t spend 3 days in San Francisco and not go to a Broadway show. Grab tickets for a show at the Orpheum and be wowed by the amount of raw talent that can be found in the city and the ornate 1920s theater that houses that talent. The best way to get cheap tickets is to go on a weekday and ask at the box office if they have last minute ‘rush’ tickets for today’s show. Sometimes you can get tickets for as low as $40 this way, but not for every show. Satisfy your sweet tooth by starting off your 3rd day in the city at the Tartine Manufactory. They have tasty coffee and a chic industrial space that is oh-so-San-Francisco. The service can be a bit cool at times, but the bakery has everything from soft brioche jam buns to delicious strawberry jam and ricotta toast. After getting your fill of hipster baked goods, it’s time to explore another side to the Mission through the Mission Murals. The murals are spread out throughout the district, so it’s a good excuse to spend the morning exploring the free outdoor gallery by foot. The murals are famous for their colorful variety and touch on everything from cultural heritage to political statements. A few keys spots to find the murals include Balmy Alley and Clarion Alley, and the Carnaval Mural (24th St., and South Van Ness Ave) and The Women’s Building MaestraPeace Mural (3543 18th St.) are ones not to miss. Some of them date back to the 1970s. A favorite local pastime in the city is grabbing a picnic and a bottle of wine and enjoying the view from Mission Dolores Park. You’ll find people lounging here no matter what the weather decides to do, but especially if it’s a sunny day in San Francisco, the atmosphere becomes intoxicatingly happy. There are plenty of cute dogs running around, people throwing frisbees, and usually, a group of hippies starting a drum circle or strumming guitars nearby. Dolores Park brings the best parts of the city to its grassy hill, and it’s an experience not to miss during your 3 days in San Francisco. There are plenty of little shops near the park to grab your drink of choice and fixings for a picnic. Spread out a blanket, bring a book, make new friends, or simply cherish the people watching at the park – it’s one of the best ways to spend an afternoon in the city. Once you’re done with Dolores Park, walk over to the Castro District a little further on from the other side of the park. Similar to Haight-Ashbury, the Castro brings all types of quirky characters to its streets (are you noticing a theme here in San Francisco?). The last time I was there, I passed by an elderly man only wearing a sock and nothing else. And believe me, that’s not a surprising sight around the streets of the Castro! The Castro is the main LGBT district in San Francisco, it was actually one of the first openly gay neighborhoods in the United States, and its colorful rainbow crosswalks, used bookstores, and vibrant shops shouldn’t be missed. It’s also one of the best districts to go out at night, especially if you want to dance and party until the wee hours at some point during your 3 days in San Francisco itinerary. 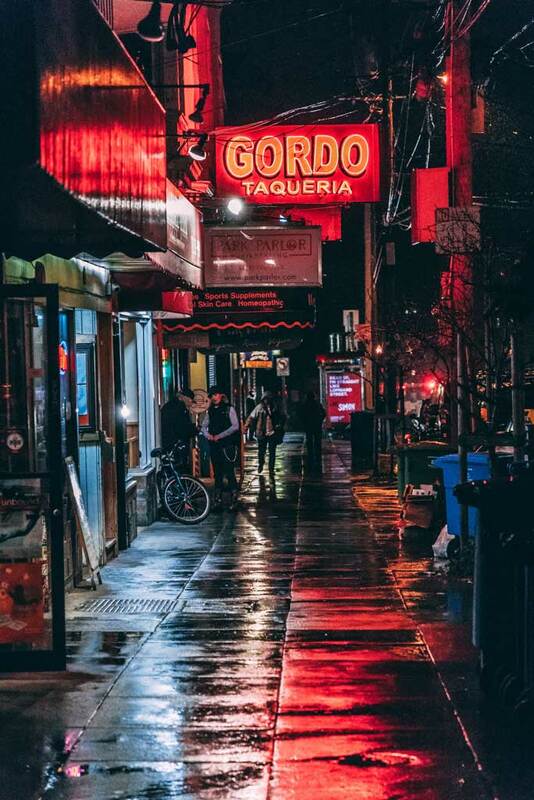 Make your way back over to the Mission for dinner at La Taqueria, known as one of the best places to grab tacos in San Francisco (and that’s not a label that is just thrown around – we take our Mexican food seriously in California). This is where you’ll find inexpensive and authentic Mexican food. It’s an eatery that has become somewhat of an institution in the Mission. The 40 year-old taqueria was even labeled as having ‘the best burrito in America’. After filling up with delicious Mexican food, as you do in California, you’ll find that the Mission offers a variety of nightlife options. One of the best ways to enjoy the bars in the Mission is through live music. A favorite dive bar – the Elbo Room – is a good place to start. The cash-only bar usually has live music upstairs from the main bar most nights of the week, and you can find anything from rock, hip-hop, soul, cumbia, funk, salsa, metal, indie, punk, among other styles. Other good spots for live music in the neighborhood would include Amnesia Beer & Music Hall, Revolution Cafe, and Slim’s and Rickshaw Stop, which are both a little outside the Mission but close by. Also, check out the best breweries in California. If you’re lucky enough to have more than 3 days in San Francisco, don’t miss out on these other gems around the city! A mile-long beach located in at the edge of the Presidio, Baker Beach isn’t the best beach for swimming due to strong currents and riptides, but it does give you one of the best views of the Golden Gate Bridge. This is the place to do your quintessential San Francisco photo shoot, and to watch the sunset with stunning views of the Golden Gate Bridge in the distance. One of the most popular walks in San Francisco, Land’s End is one of those places to enjoy nature without having to leave the city. The walk to Land’s End from the Legion of Honor gives impressive views looking out over the gulf and the Golden Gate Bridge, and the area around the Sutro Baths is another ideal place to watch the sunset in the city. San Francisco’s Chinatown is a maze-like neighborhood full of good food, frenetic energy, and the Fortune Cookie Factory (where the fortune cookie was invented!). It’s the oldest Chinatown in North America and where the largest Chinese community lives outside of Asia, so you can bet that the restaurants and shops are as authentic as they come outside of China. Since the food is amazing here you can opt for a food tour of Chinatown! Check out this tour led by a local food blogger. You can book the Chinatown food tour here. And finally, if you have the time, one of most classic things you can do during your trip to San Francisco is walk across the Golden Gate Bridge. Just make sure to bring a jacket and bundle up because it’s always windy up there! This is the perfect budget-friendly option for your 3 days in San Francisco. This hotel/hostel is located above a downtown music studio and less than 5 minutes walk to the nearest bus and cable car stop and only a 15 minute walk to Union Square. There are dorm options with shared bathrooms or private rooms available with wifi and cable TV. Upgrade to a private suite to have access to a full kitchen. Great location for a great price. This hotel is perfect for anyone wanting to stay near the fun Haight-Ashbury district. This landmark hotel dates back to 1883 and is located opposite of Golden Gate Park. The rooms are restored with Victorian style antique furniture with kitchens. Don’t miss out on the complimentary breakfast or weekday wine and cheese social and library on site. A beautiful hotel in the Financial District was once a former bank building dating back to 1923. Conveniently located across the street from a cable car stop you can’t go wrong with this location. The rooms are decked out with traditional decor with high ceilings and some with terrific city views. Don’t miss out on the elegant bar and steakhouse on site as well as the fitness center and business center. This incredible 5-star hotel is the perfect choice for luxury travelers for your 3 days in San Francisco. Located in Ghiradelli Square you are just steps away from having one of the best ice cream sundaes in the world! The 1-3 bedroom suites all offer gourmet kitchens, refined dining and living rooms, fireplaces, designer linens, and washer and dryers. Some rooms even have terraces and bay views as well as access to a private lounge. Breakfast is included as well as a daily happy hour reception and car service. Don’t miss your chance to hang out in the terrace with fire pits either for one of the best views in the city. Mimi McFadden is a travel blogger and freelance writer. Originally from California, she has been slow traveling the world since 2013. 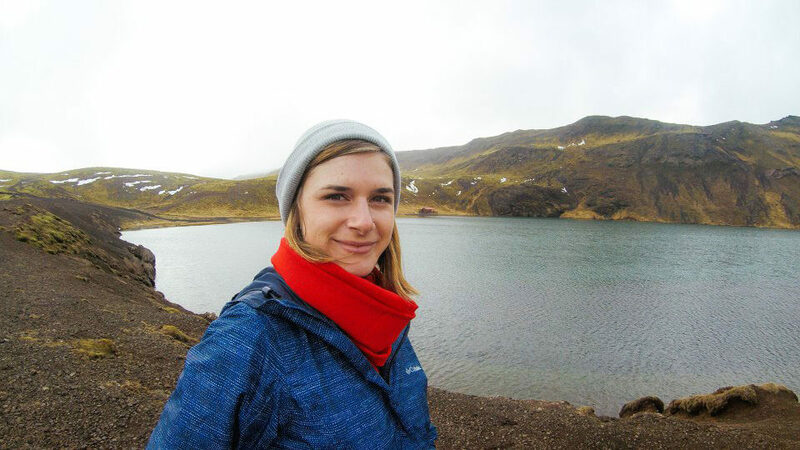 When she’s not writing, you can probably find her sipping on a pint of craft beer, chasing waterfalls, or planning her next crazy adventure in a foreign land. After living abroad for five years in Australia, New Zealand, Thailand, Greece, and Portugal she has finally found a home in San Francisco, California. You can find her on Instagram, Facebook, and her blog, The Atlas Heart. 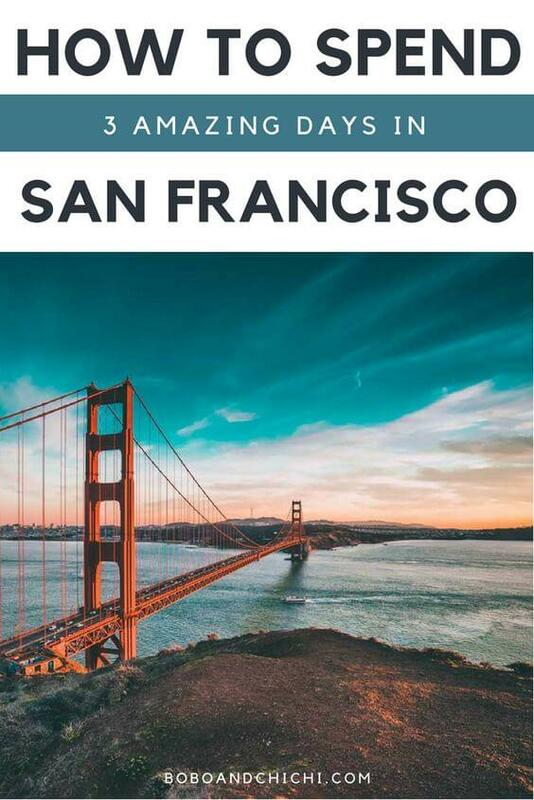 Liked this post about the perfect for 3 days in San Francisco itinerary? Bookmark for later or share the love below on Pinterest!